...where prayer will talk to you and you can talk to G‑d? Then, consider Chabad of Old Tappan. We will provide you with the environment and tools that will finally allow you to make your prayers a meaningful and enjoyable part of your life. For those wishing to say Kaddish for a loved one, we will provide a private crash course and other tools to assist you in becoming fluent in the recitation of kaddish. 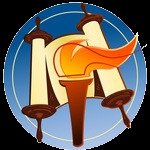 Click here to set up for Kaddish to be receited in Israel 3 times daily in memory of your loved one for the first year and/or annualy on the yartzeit. Whether you would like to join us for prayer on the High Holiday, Kabbalat Shabbat, Saturday morning, for Jewish Holidays or for any other occasion, know that Chabad of Old Tappan welcomes you.